If you got this via email, please click on the title to view this more nicely at the website. We continually get new items in, and only a few get listed here. We wish we could convey our enthusiasm for these wonderful resources that fill our shop. For now, here’s a quick look at a handful. We do hope that if you find something of interest here that you will send the orders our way. That’s only fair, eh? We’re at your service and remain very, very grateful. Happy reading. Mercy & Melons: Praying the Alphabet: Thanking God for All Good Gifts from A to Z Lisa Nichols Hickman (Abingdon) $15.99 You may recall how we raved and promoted Lisa Hickman’s earlier book Writing in the Margins: Connecting with God on the Pages of Your Bible (Abingdon; $16.99)(for which I had the great privilege of penning the forward, by the way.) We knew she was a colorful writer and a good, if a bit unconventional, artisan of generative Bible study, but I was still unexpected for the wonderfully creative lines that flow from her pen, here. Yes, the very “praying the alphabet” format, and the lovely design itself, are fantastic, a rare idea and beautiful execution that is almost certainly not duplicated elsewhere. But the writing — what a joy to behold! Wow. I haven’t been going through it A to Z, actually, but dipping in at my heart’s content, and the serendipity has been wonderful. Hickman weaves together in each devotional essay a theological theme and a more mundane topic, although in her hands, the sacred and seemingly secular are not at odds, making it sometimes hard to tell which topic is supposed to be the theological one. She writes about “Down Comforters and Doubt” and “Grasshoppers and Glory” and “Imagination and Icicles” and “Justice and Jello.” Z is a wonderful entry — “Zin and Zinnias” (do you know where Zin is in the Bible?) Her prose about the ordinary stuff of life is fantastic, and her linking these topics/items with theological themes or phrases is just brilliant. I could tell you which I’ve most loved most so far, but you will have to discover these yourself. If you like things that come together, clever word-play, connecting the cosmic dots, you will love this. “Soap and Sanctification” as a guide to prayer? Indeed. Rev. Lisa Nichols Hickman is an adjunct teacher in the Religion Department at Westminster College and is a pastor at new Wilmington Presbyterian Church. She writes regularly for Faith and Leadership on line magazine, as well as its “Call and Response” blog. 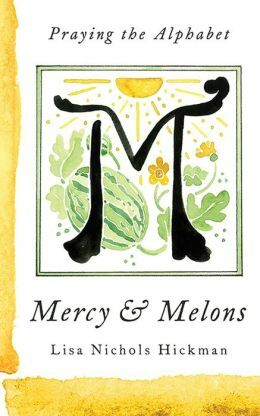 If you are drawn to this, you should buy two copies of Mercy & Melons, one for yourself, and another one which you will surely want to share almost as soon as you start reading it. Dwell: Life With God for the World Barry D. Jones (IVP/Forge) $16.00 This certainly deserves a longer review than I want to give it here, and I am confident that it will be receiving a Hearts & Minds year’s end “Best Book of 2014” award — it is certainly that good. And that important. With a great foreword by Michael Frost, this wonder book makes the case that with all of our talk about being missional, we are often missing the need for being intentional about our inner formation (or, conversely, with those who are most interested about our interior lives and spirituality, often unhinge these from the missional project of God’s redemptive work in the world.) So we often get it wrong, imbalanced at best. This is age old stuff — I’ve written before about my own fascination with authors like Thomas Merton and Parker Palmer who have written profoundly about the relationship between what Betty O’Connor used to call “the journey inward and the journey outward.” Yes, Psalm 24:1 reminds us that all of the Earth is the Lord’s and the “fullness thereof.” This implies that God shows up everywhere, and that our redemption is — as the popular Acton Institute DVD puts it For the Life of the World. This is a book that made me think about holy worldiness, about incarnational spirituality, about mystical earthiness, about what another author calls “missional spirituality.” It is so, so good! That FLOW DVD, by the way, has become our biggest selling item of the year! 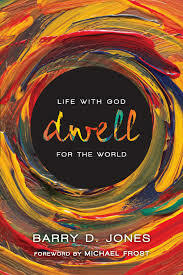 This Dwell book is a fantastic follow up, inviting us to “dwell” as we incarnate the ways of God in God’s world. It is very well written, offers fresh insights and important wisdom about the nexus of living with God, in the world, with creative, valuable content. Perhaps soon I will outline the ten great chapters, beautiful, good stuff, but for now, please know this is a wonderful book about spirituality, Christian living, Kingdom vision, and how we can incarnate in stories, practices and disciplines “an approach to Christian formation and discipleship that doesn’t neglect our individual person-hood but sets it in a missional context.” Not either/or but both/and, and that doesn’t even do this justice. Hooray. 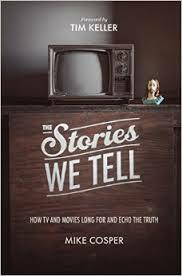 Stories We Tell: How TV and Movies Long for and Echo the Truth Mike Cosper – foreword by Tim Keller (Crossway) $15.99 I will be brief: I adored this book, so enjoyed it, thought it was one of the very best books exploring pop culture that I’ve read in a long while. Some (like the must read Eyes Wide Open: Looking for God in Popular Culture by William D. Romanowski) are broad and lay the Biblical basis for thinking faithfully about the popular arts. Others examine certain films or trends within pop culture — I hope you know David Dark’s extraordinary Everyday Apocalypse: The Sacred Revealed in Radiohead, the Simpsons, and Other Pop Culture Icons which is my favorite example of this.) This new one, though, Stories We Tell, has an exceptionally clear and well balanced framework, is both pious and open-minded, celebrating the imagination God has given us and our disposition to tell and enjoy stories. Ponder the subtitle a bit — this so rich. But it also spends most of its time looking at TV shows, past and present, and is as up to date as any book like this, including some ruminations on current reality shows. The cover — that retro look with an old TV and a cheesy Jesus statue — is maybe supposed to appeal to the hip or ironic, but please know that this is a truly earnest, insightful, joy-filled and very helpful book that is very current. Given how much time people spend watching TV and movies, I think this is a very important resource to have around. Mike Cosper has already given us a fantastic book on worship (Rhythms of Grace: How the Church’s Worship Tells the Story of the Gospel) which shows his familiarity with narrative theology — the short-hand of talking about creation/fall/redemption/restoration — which also reveals how he enjoys pop music and the arts. His love for TV and movies is truly evident here, which is part of the goodness of this book. He not only gets the broad, worldview-ish critical engagement piece, but he enjoys the stories that come at us, the higher-powered more intellectual ones and lower-brow, silly stuff, too. Author Karen Swallow Prior (whose own thoughtful memoir about reading called Booked is a personal fav) calls it charitable, wise, and generous. Yes it is! You should read this book! You should give it to anybody you know who likes TV and film, or anybody who really has a bone to pick with the artists in pop culture. His gospel-centered grid, his good, Biblical wisdom, and his passion for stories makes him a great author for this vital topic. Anyway, this is truly an original work, offering litanies and prayers, poems and observations, essays and recipes, reflection ideas and action steps (and even some lines in italics running along the bottom edge of the back, a curious design feature) all nicely arranged by the season of the year. This really is a book one can live with through a year. Barbara Mahany is a devout Catholic, a very good writer, with a large capacity, it seems, to see stuff; to attend. Rabbi Evan Moffic says, that she “writes with the eyes of a sculptor and the ear of a poet.” Mahany has been a writer for the Chicago Tribune — often talking about her family and their making a way in the world that is sane and good — and this shows her journalistic chops quite nicely. “Bracingly honest and heart-achingly daring, she explores the sacred mysteries with a voice that is recognizable and clear.” Slow down, realize the beauty and wonder of the ordinary, take heart. This is “balm for the hurried heart.” And it has seasonal recipes! 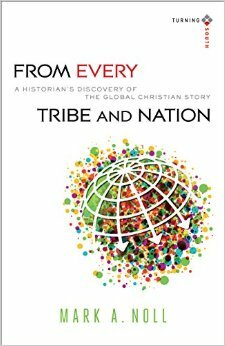 From Every Tribe and Nation: A Historian’s Discovery of the Global Christian Story Mark A. Noll (Baker Academic) $19.99 I have raved about this unfolding series of books before; this new one is the third in the “Turning South” series, which tells the stories of “Christian scholars in an age of world Christianity.” First up was Journey Towards Justice, the fabulous memoir/argument by Nicholas Wolterstorff who told passionately of how he came to take up his work as a political philosopher, inspired by meeting suffering Christians in Palestine and South Africa. Next was Reading a Different Story: A Christian Scholar’s Journey from America to Africa a wonderful, slim book by literature professor Susan VanZanten who wrote wonderfully about her coming to appreciate the stories of the developing world. This new one shows how this leading historian, by offering his own personal account, has come to do his work, and particularly his recent work on the global Christian story. Rave, rave, reviews grace the back, from Richard Mouw, George Marsden, Philip Jenkins and Robert Louis Wilken. Who knew that Noll was such a good storyteller — he tells of his own boyhood growing up Baptist in Cedar Rapids, Iowa, his early love of baseball, and, now, to his groundbreaking work on global faith. 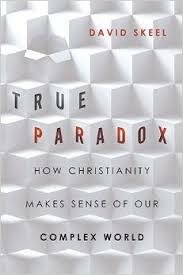 True Paradox: How Christianity Makes Sense of Our Complex World David Skeel (IVP/Veritas) $15.00 I admire this legal scholar, a Presbyterian professor of Corporate law at University of Pennsylvania Law School. (Not too shabby, eh?) who has often engaged in thoughtful forums on campuses, nicely representing Biblical notions of goodness, justice, tolerance, and truth. He’s a very impressive guy. I admit, though, that I was afraid this might be rather dense, too detailed, arcane, even. Alas, what a delight — this is an exceptionally well written, clear-headed, yet almost anguished plea to not “dumb down” the questions of meaning and faith, appealing to all sorts of thoughtful readers. Not only does Skeel relish paradoxes, he notes that the complexity of reality is something for which we simply must give an authentic account. And here’s the kicker: both traditional older-school apologetics — defending the truth, making cases that demand verdicts, proving the reliability of the Bible and such — and the outspoken new atheists, each have a view of truth and reality that is, well, finally unrealistic. That is, complexity and paradox are truly part of our experience. Could it be that this itself is a signal of transcendence, that the gospel itself points us towards a vision/story/worldview that helps us live into this curious aspect of our existence? We need not deny the complexities of life. As it says on the back cover, “they can lead us to the possibility that the existence of God could make sense of it all.” Rave reviews on the back are from evangelical historian Mark Noll, Catholic social and policy activist John J. Dilulio, and a former editorial board member of the New York Times. Winsome, smart, profound, this is a very fine, approach book about life’s biggest mysteries, and how best to respond to our complex world. And thank goodness for this small Veritas Forum imprint of thoughtful books coming from IVP. Kudos! Lean On Me: Finding Intentional, Vulnerable, and Consistent Community Anne Marie Miller (Nelson) $15.99 Some of us know Anne Marie Miller as the former Anne Jackson, who wrote the funny, fabulous, helpful book on the epidemic of church leader’s burn-out called Mad Church Disease and the engaging, even horrific at times, yet wonderful collection of stories (and art pieces) of things people feel they couldn’t share in church, Permission to Speak Freely: Essays and Art on Fear, Confession, and Grace. This book seems to be the natural follow up to these two, and posits — in her beautiful, winsome, engaging style — that real community is the antidote to burnout and shame, exhaustion and loneliness. In other words, in religious institutions where “mad church disease” is so prevalent, and yet where we are discouraged from talking about our brokenness, fears, or foibles, we simply have to re-doubled our efforts to seek grace-filled, Christ-centered, life-giving friendships. It says on the back cover, “we live in a world and a generation where the world ‘community’ is often discussed. But how genuine and authentic are your relationships, really? Miller noticed an important tension all of us must recognize in order to have life-giving friendships. “We desperately want to belong yet as the same time, we yearn for independence.” Yeah, there’s that. I am very glad that Anne has attempted to tackle this. She’s gonna tell it like it is, I’m sure. There is little doubt in my mind that “community” is one of the most urgent topics of our day. Living Into Community: Cultivating Practices That Sustain Us by Christine Pohl (Eerdmans; $20.00) is the serious gold standard in this category, but it may be a bit too heady for some to wade through. Life Together (HarperOne; $14.99) by Dietrich Bonhoeffer, written under the threat of Hitler’s Nazi repression, of course, has been a standard go-to book for decades, and remains a Hearts & Minds bestseller –a vital quote from it ends Miller’s good book. 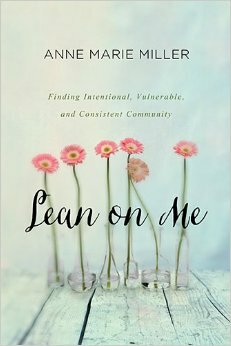 Lean on Me: Finding Intentional, Vulnerable, and Consistent Community is a nice starter book on this meaty topic, with a useful reader’s guide at the end making it ideal for book clubs, Sunday school classes, campus Bible study groups, church staff meeting reading, and the like. I believe it will help many deepen their relationships, form more intentional, supportive small groups, and to arrange our lives together in our churches and neighborhoods to be more open and honest about our deep need for others. But, okay, let me get this wee little thing off my chest: the orange cover seems meant to evoke Radical: Taking Back Your Faith from the American Dream by David Platt and yet he doesn’t mention it. Gracious of him, perhaps, but the cover sort of seems to imply something and alluding like this seems a bit snarky. And, the cool dictionary-definition-graphic on the cover, with the word spelled in a nifty eye-catching way (and which shows the definition as “1. 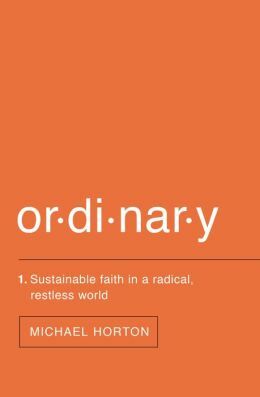 Sustainable faith in a radical restless world”) seems a minor capitulation to the hipster marketing thing that drives so much of the “we can change the world” schtick pop evangelicalism. I suppose it doesn’t matter much, but wanted to share this minor observation that even in the packaging of this book, the good marketing team had to give it some minimalist zip. Which is to say, I guess, that ordinary need not mean bland or boring or routine. More importantly, this is a wonderful reminder of what it means to be faithful and mature, not gunning for unrealistic expectations and setting ourselves up for disillusionment. That he brings older faith traditions to bear is commendable and good (and, for what it is worth, for the few people who notice such things, he cites Mercersberg’s Nevin against revivalist Finney, draws on Jamie Smith, and seems to agree much with Kendra Creasy Dean who worries about congregations not teaching their youth. I especially recommend Horton’s Or-di-nar-y to those whose faith seems to be a little faddish or those whose faith seems over-the-top emotionall without corresponding inner growth and time spent in the local church; also, I think it would be very useful for more mainline pastors or leaders who have long called for less sensational faith expressions in favor of the low-key long haul, but maybe need to understand the (newer) radical evangelicalism of our day. By the way, after Horton’s compelling treatment, recall how we’ve promoted the sleeper of a little book called The God of the Mundane: Reflections on Ordinary Life for Ordinary People by Matthew B. Redmond (Kalos Press; $10.95) which I liked very, very much. The Romantic Rationalist: God, Life, and Imagination in the World of C.S. Lewis edited by John Piper & David Mathis (Crossway) $17.99 This is a great collection of papers that were presented at one of the legendary “Desiring God” conferences run out of John Piper’s ministry. Those who have followed Piper’s “Christian hedonism” know that much of his doctrine of joy comes from Lewis, who he has studied carefully for nearly a lifetime. It wasn’t surprising to know that Lewis and his writing was the theme of last years conference. The first chapter tells us more about Piper’s appreciation for the Oxford don, and it is quite nice. The book is very useful, and the chapters are lively, passionate, concise. Louis Markos says that this “paints a well-rounded, sharply observed portrait that balances criticism with a deep love and appreciation for the works and witness of Lewis.” Michael Ward calls it “altogether an interesting, lively and thought-provoking read.” With authors like Piper, Philip Ryken, Douglas Wilson, Kevin Vanhoozer, and Randy Alcorn. you can be assured this is thoughtful, evangelical, insightful. Alcorn, for instance, is trying to show how Lewis’ view of the new creation — this world renewed, like a paradise restored — is similar to Al Wolter’s in Creation Regained and I suspect I will return to it often. (Piper has a similiar chapter, too, about the sanctification of the things of earth, drawing on CS and St Paul.) One chapter explores Lewis’ view of the Scriptures, another part explores his view of hell, another draws on his use of the imagination, suggesting its importance for ongoing theological work. Throughout there is this sense of he was both romanticist and rationalist (oh yes!) I hope you read Lewis, and about Lewis, a bit each year. I like the title, don’t you? C.S. Lewis and the Crisis of a Christian Gregory S. Cootsona (Westminster/John Knox) $16.00 Allow me to sneak in another new Lewis title, too, that just arrived last week: this one is written by a pastor of Adult Discipleship and College Ministries at Bidwell Presbyterian (USA) Church in Chico, CA, although he had previously served at the prestigious Faith Avenue Presbyterian Church. In this new paperback he shows us how Lewis can be a good guide for us in our own “ups and downs” as we cope with the hardships of our own faith journey. Lewis felt the absence of God in his life, he wrestled with grief, with doubt, and he knew temptation. Why haven’t we unpacked this more?